Although the amount of yard waste sent to disposal has gone down 50% over the last 20 years, it is still the third largest component of garbage sent to landfill. 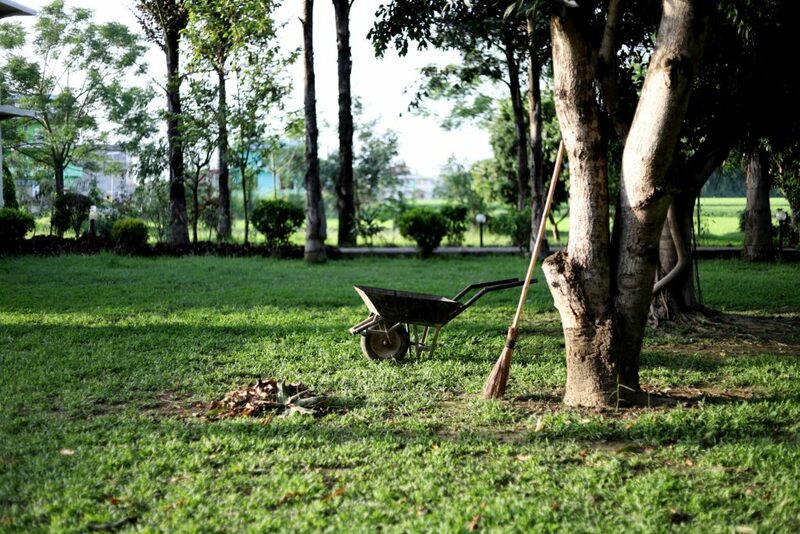 Finding safe and sustainable ways to remove garden waste, debris and potentially hazardous waste from the garden can help reduce environmental toxins and discourage vermin. In addition, recycling as much as possible will, in the long-term, help reduce air pollution caused by manufacturing industries. These days, gardens are commonly filled with plastic furniture, children’s toys and plant pots. Sharp edges on broken plastic can be dangerous, so when these items reach the end of their useful life, they need to be discarded, and most will have to go to landfill. However, due to advances in technology, garden items such as synthetic turf can be recycled. It can be broken up into component parts, converted into raw materials and made into other products. With almost all state residents having access to recycling and 79% able to use curbside pickup programs, there is little excuse for not responsibly disposing of such items. Other garden products that must be disposed of safely include pesticides and fertilisers. Towns throughout the State host regular hazardous waste collections for toxic products, and some will take electrical items for recycling. Leaving junk such as car batteries and old TVs piled up around the yard can eventually be an environmental hazard, as they leach lead and other properties into the ground, potentially contaminating the groundwater. Drinking contaminated groundwater can have serious health effects, including hepatitis, dysentery and poisoning and, over time, even certain types of cancer. Although gardeners are encouraged to use fallen leaves as a nourishing mulch on lawns, large amounts of garden debris should be removed, as it can attract insects and vermin. Mice and rats love the dark and quiet of a forgotten leaf pile and, as they are known to spread more than 35 diseases, they can be a serious health risk. Yard waste should not be burned, as the chemicals released can cause asthma attacks or other respiratory issues. Care should also be taken when removing rotting plant material as fungal spores commonly found on dead leaves or in compost piles can also trigger an allergic reaction. Although rare, it is also possible for people with weak immune systems to develop aspergillosis, a dangerous reaction to Aspergillus fumigatus spores. As well as improving the look of a garden, regular tidying and clearance removes hazards and contaminants from the environment. Disposing of waste promptly and safely avoids toxic materials leaking into the water system, discourages pests and rodents from getting too comfortable in garden debris and prevents dangerous mold spores from replicating. Previous ArticleLegislative AnnouncementNext ArticleYou’re a new nurse. Now what?